Throughout history, Jews have made wine at home out of necessity. 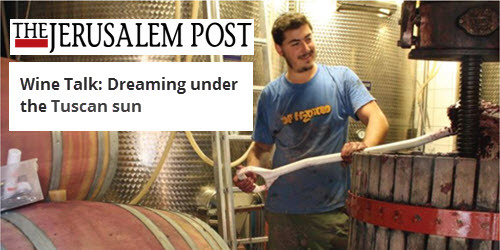 They needed wine so they could sanctify festivals and Shabbat. Jewish and kosher wine was really a cottage industry throughout the ages. Wine was made in buckets and bathtubs or any receptacle that was available, from local table grapes to raisins. In the 20th century, kosher wine became big business as did kashrut supervision. Manischewitz, Kedem and Mogen David in America, Palwin in Britain and Carmel from Israel became large brands that garnered loyalty and a following from Jews wanting to make kiddush and say the blessings, wherever they were. In the 1960s, Carmel introduced the concept of dry kosher table wines, and in the 1980s Hagafen and Herzog from California and the Golan Heights Winery continued the development, with the objective of making the best quality wine possible %u201Cthat just also happened to be kosher.%u201D Since then, there has been a kosher revolution. Today, almost every wine-producing country makes kosher wines, often in association with Royal Wine Corp., which internationalized quality kosher wine production. Furthermore, kosher wines have won trophies in the most major wine tasting competitions and high scores from the leading critics, proving that the word 'kosher' is not a bar to great wine. Considering the developments in the last 30 years, it is particularly strange that in Europe, with all the kosher wine being produced, Jewish-owned wineries are rare, and wineries owned by religious Jews are virtually nonexistent. Most of the wine in Europe is made at non-kosher wineries, where a kosher crew is imported, a mashgiah (religious supervisor) takes control, batches are isolated under lock and key, and the wine is made under strict supervision. Only recently I wrote that Terra di Seta was the only Tuscan winery dedicated 100% to kosher wines. So it gladdened my heart to find another: a promising start-up of a new winery initiative, owned by a religious Jew, also in the beautiful setting of Tuscany. There, Eli Gauthier and his wife, Lara, have established the winery of their dreams. Eli has French roots, and his wife is from an Italian country family. They are both well traveled. Eli grew up near Paris but has lived in California, England and Jerusalem. He even spent time as an intern at The Jerusalem Post, using his French language skills! Lara has been in Florence, Istanbul, London and Jerusalem. But they have settled in Tuscany. It is heaven on earth, so I can understand why.